The Amish Ulster Dining Chair mixes things up a little with some clean contemporary lines and some simple shaker influence. Five horizontal back slats cradle you in comfort while chair legs taper gently. 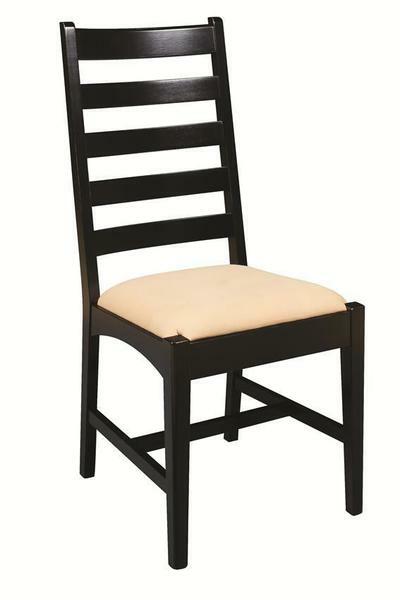 These dining chairs are made by Amish craftsmen who have been making fine furniture since 1974. Investing in handcrafted chairs like the Amish Ulster Dining Chair pays off handsomely. This heirloom quality furniture will last for always and look gorgeous each time you use it. Order online or contact us by phone or email for assistance. Thanks for shopping with DutchCrafters.